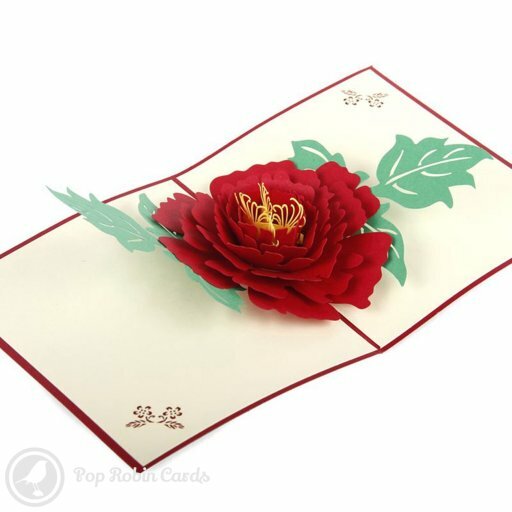 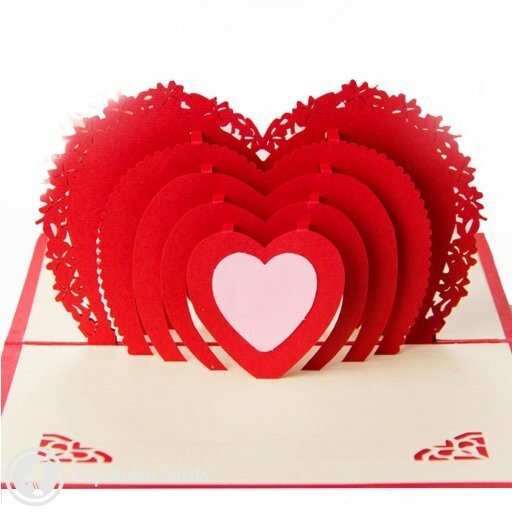 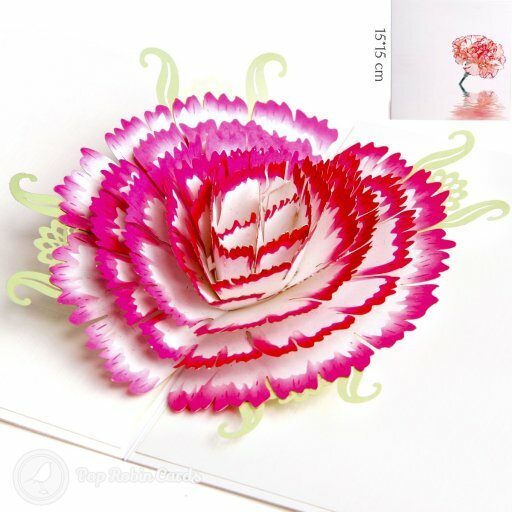 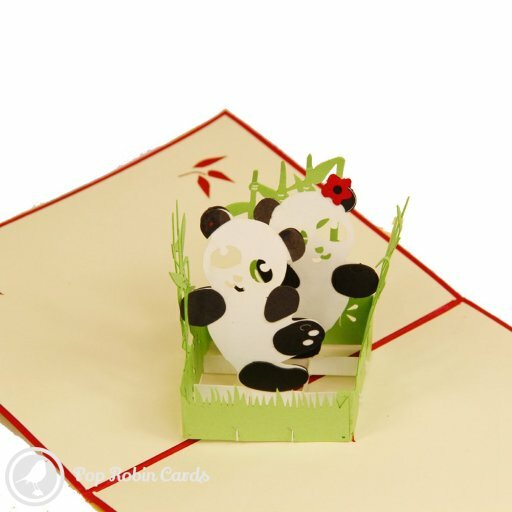 This romantic greetings card opens to reveal a 3D pop-up scene showing in a glade of pink, heart-shaped flowers. 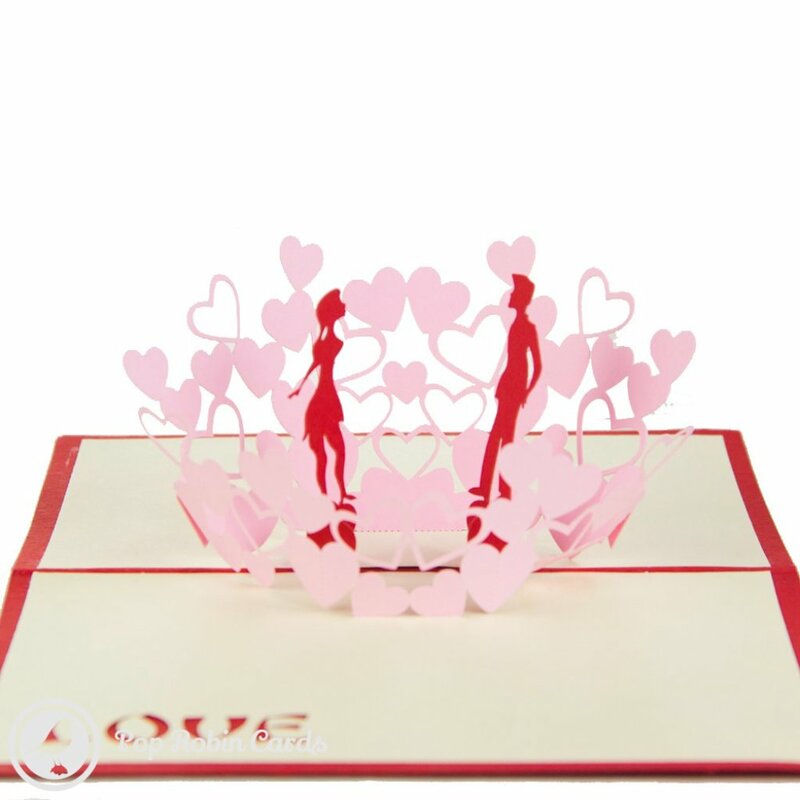 The couple move towards each other as the card is flexed. 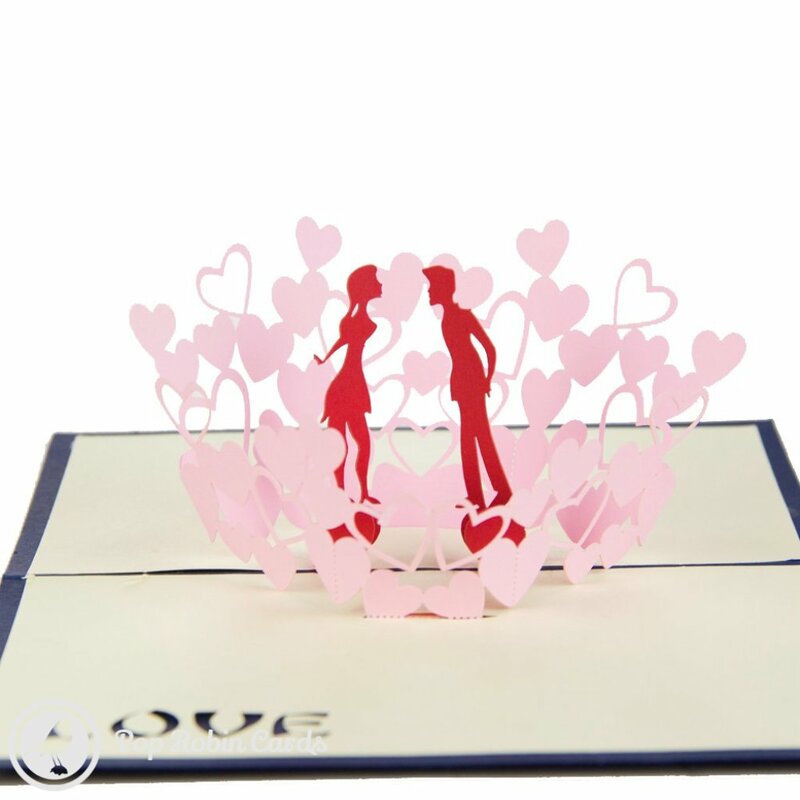 The cover is available in a choice of blue or red, and shows the couple in a stencil design.